Paula Walsh and James McCormick, Shravokee, Clonlara at the location where the road is planned. The photograph was submitted on behalf of the Shravokee, Grawne, Cappavilla Residents Group. 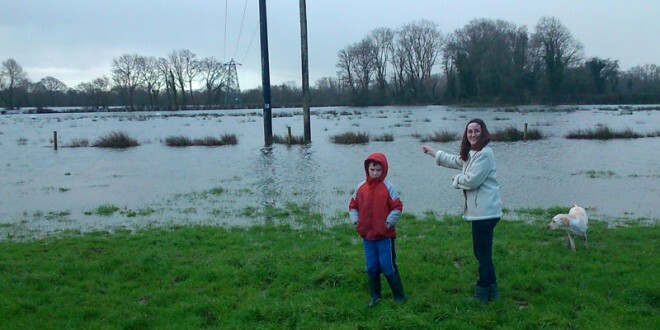 THE construction of the proposed €100 million Limerick Northern Distributor Road (NDR) through a flood plain on the back road to the University of Limerick is “madness”, a local resident has claimed. 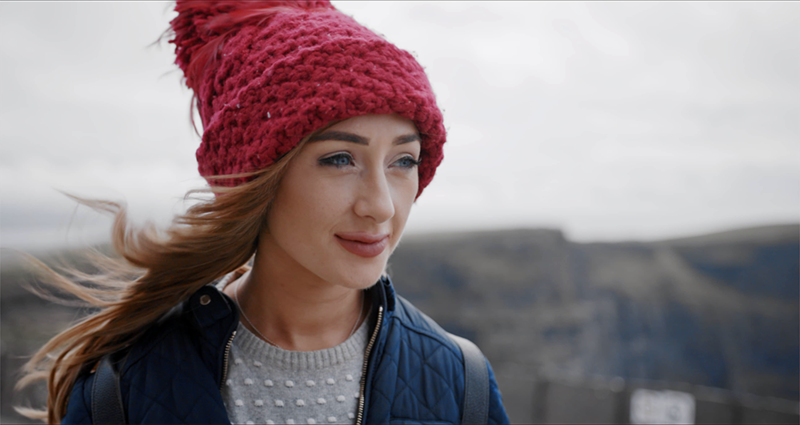 Normally, Miriam McCormick, Shravokee, Clonlara cannot see any water when she looks out her front door, as the River Shannon is about a half a mile away. Now she is looking out at a “lake” where the NDR is proposed to go between her house and the neighbouring O’Briens. The road is planned to follow the electric wires near her home. “The general public need to know what madness it is to construct the Northern Distributor Road down through these fields that regularly flood. Hydrologists speak about the ‘stone in the bucket effect’ where if a bucket is full of water and you place a stone in it, the water will have to go somewhere. The same principal will apply to a floodplain when a major construction is placed in it – the water has to go somewhere else. “This theory was explained to our neighbours when they went about objecting to other planning in the area,” she explained. 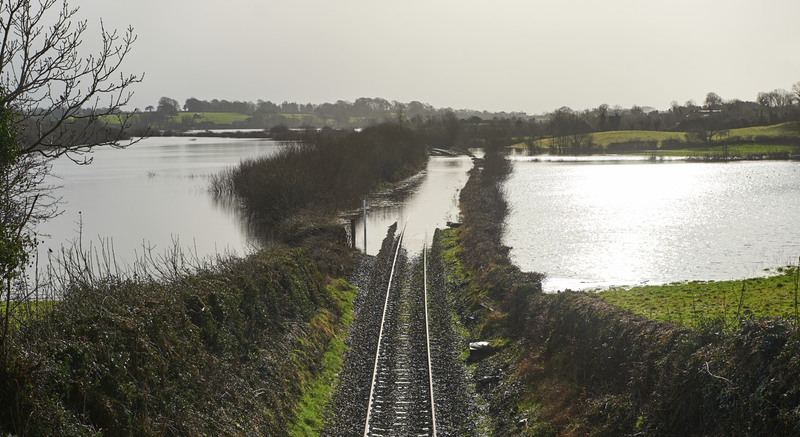 Clare County Council has stated the project is a road scheme, not a flood relief scheme. Having said that, the authority has acknowledged it has a responsibility to design in such a way that the existing flood risk is not exacerbated in any way as a result of this new road. Notwithstanding the fact that Ms McCormick believes the NDR is not feasible at this location, she also claims it is unnecessary following the economic crash. Even if a large suspension bridge is built at this location, she asked where the natural flood water that comes during the winter and periods of high rainfall is going to go. Concern about the construction of the proposed road was expressed at a meeting of the Northern Distributor Concerned Residents’ Association on Monday night. Committee spokesman, Pat Keane from Clonlara, said members cannot understand why the council is prepared to let this happen. “Why would you put a new road through an area that is subject to extensive flooding? Where will this water go if the road is built? “The council has been stonewalling the group by not releasing the submissions to the council from public bodies,” he claimed. “We were not interested in balance sheets of any financial information. We only wanted to get adequate general information as to why this particular route was chosen,” he said. The council has argued it cannot release this information because it is commercially sensitive.